Maintaining a dedicated fan base is one of the most daunting tasks faced by musicians. We all know the importance of social networking, working the press, and promoting shows. If only there was a way to incorporate all of your promotional efforts into one source that could be easily distributed to your target audience. Well guess what? There is! It’s called a newsletter. Newsletters are a simple and effective way to build a “community” around your music, while keeping in touch with your fans on a regular basis. This week we discuss the three reasons why every musician should have a newsletter. Want to know the secret to developing a solid fan base (after you write good songs)? Offer valuable content to your fans. David in Portland is probably not going to visit your site just because you sent him a comment about your new song. Now, what if you told David that by signing up for your newsletter he would receive a free download of an exclusive song that you wrote while touring in Portland. I’d bet your odds of a response would be looking much better. There are many great ways to build your fan base by offering valuable content through a newsletter, but first you will have to develop your mailing list. Incorporating a news letter sign up box on all of your web sites is a great way to start. Offering free content for newsletter members is an effective way to encourage potential fans to sign up. Unlike a social networking site, where members can join your page with a simple click, your fans will have to share their email address in order to join. Due to the endless amount of spam email’s generated on the web, most people are not likely to give out this information unless they are going to receive valuable content in return. Therefore, an email newsletter gives you the opportunity to connect with fans that have a genuine interest in your music. Most artists have a wide variety of viral outlets for their music. There’s myspace, facebook, twitter, youtube, reverb nation, last fm, band camp, just to name a few. If you have spent any time promoting your music on the web, I’m sure you have noticed that it can be difficult to keep your fans interested in all of your pages. Most fans just don’t have the time to browse through every page. With all of the artists out there fighting for attention, it can be difficult to stand out amongst the crowd. One of the greatest advantages of an email newsletter is the ability to share all of your sites and content in one place. Your newsletter can also be a great way to interact with your fans through fun contests and promotions.Through offering exclusive promotions for newsletter members, you can maintain interest in your music and establish value within your content. You can also build relationships with your fans through incorporating a fan of the week, answering questions from fans, or encouraging them to vote on a poll related to your music. There are endless possibilities for creative fan participation within a newsletter. Promoting upcoming shows is another effective aspect of an email newsletter. It’s great to post events online and throw up flyers around town to promote a gig. However, with your newsletter you can communicate directly with your core fan base. If you are planning on touring, you can organize your mailing list by region and send out invites to fans in the surrounding areas. With an event posting or flyer, you are limited to the basic details of your show. In a newsletter you have the opportunity to tell your fans more about the performance or offer discounts and giveaways to members who attend. A newsletter is an excellent way to build rewarding relationships with press and radio. These companies receive countless messages every day from artists who are looking for valuable exposure. If you want a shot at gaining entrance to the gatekeepers of promotion, it is important to offer plenty of valuable content. Mailing a press kit is great, but your banking on the chance that your cd makes it through their endless pile of submissions. If you work on developing a relationship and can make it into the coveted inbox of a writer, you will have the opportunity to maintain their interest with your valuable content. As we discussed earlier, showcasing valuable content is essential to maintaining your fans interest in your project. This is even more important in connecting with the press. Everybody is releasing new songs and playing shows. The key is to show that what you are doing is notable enough to share with their audience. It is also important to consider how your content could be beneficial to the press. For example, if you are using a product, website, or promotional campaign that has been effective in developing your project you could share your experience and explain how it could benefit their readers. Once you have received some coverage, you can use your newsletter to share this content with your readers. Through including a link to the article in your newsletter, you can show your appreciation of the press outlet that showcased you project. This method of promotion can go a long way in developing long-term relationships with the press. If you can provide an outlet to draw traffic to a publication, your value to them will greatly improve. Are you ready to promote your music with a email newsletter? Still wondering if a newsletter is right for you? We work with Constant Contact to create valuable email newsletters for artists and businesses. We are now offering a free trial of the program. Feel free to drop us a line for more information! Feel free to leave us a comment with your thoughts, experiences, suggestions, or anything else you’d like to tell us about! Barry has teamed up with For The Record to share his reviews with the latest in recording products. Barry is a recording engineer/producer and contributing editor for MIX Magazine, ‘New Toys’ columnist for L.A.’s Music Connection Magazine, and writer for www.prosoundweb.com. He also is editor/writer of Gear Lust, his online special review section at www.barryrudolph.com. The two-rack space Crane Song Egret is an eight-channel summing/mixer specifically designed for both straight ahead DAW mixing and composite mixing where both virtual instrument or other audio sources are mixed together with DAW audio tracks. To accomplish this, there is a lot of impeccably built technology packed behind the beak of this bird! The ultimate aim for an audio equipment designer is purity of sound and to that end Egret works transparently–a pure system that adds no gain or ‘coloration’ to the overall sound. However to satisfy music producers/mixers who depend on their equipment for a certain “je ne sais quoi” quality, Egret also has a Color control knob for each of the eight inputs. It adds (or subtracts–depending on your perception) a certain analog softness to edgy audio sources. Egret uses eight D/A converters just like those used in Crane Song’s Avocet mastering monitor controller. Supporting rates up to 192kHz, a Cirrus Logic 4398 D/A chip is used along with an 8421 SRC chip (sample rate converter used for input jitter reduction) surrounded by Analog Devices OP275 amplifiers for interfacing to the unit’s discrete Class-A summing and mixing bus circuitry. There is a front panel switch to disable the SRC for cases where lower latency is required and the Source switch chooses the unit’s digital source between three inputs: AES/EBU (4) XLRS, ADAT Lightpipe, and a third ‘yet to be determined’. Currently the converters and the interface supports AES single wire to 192KHz, ADAT, and S/MUX to 96kHz and can be upgraded as the technology changes. The converters will also independently operate even at different sample rates if required. Each channel of Egret has a level control, a cue send, and pan control. Each channel also has an analog/digital source button where either the output of the eight-channel analog-to-digital converter or an alternate (eight rear panel TRS jacks) analog balanced line input can be selected. The alternate Analog Inputs could be used for virtual instruments running along with the mix or live sound sources such as in a DJ or FOH mixing application. You could also use them as returns from external processing gear. To add external processing to any channel in Egret you would send to outboard gear from the direct out (eight rear panel XLRs) and return its output to the analog input. By switching between the digital (actually the output of the D/A converter) and Analog In you could A/B the inserted processing. There are both solo-in-place and mute buttons on each channel’s line up and a built in Aux send bus with Master level control that works for either a cue system or as an effect send. The headphone monitor jack’s output follows the stereo bus output for a monitor mix when Egret is being used in multi-channel location recording. Also borrowed from the Avocet’s design is the master bus level control. It’s a Grayhill rotary shaft encoder that drives a microprocessor-controlled bank of relays for super-accurate and repeatable 1dB stepped attenuation. An absolute necessity for recalling mixes, the stereo gain matching is better than 0.05dB. Egret is built so that the stereo, and cue buses can be chained together to create a many input system. With a special cable, Egret’Äôs bus can be tied to a Crane Song Spider to sum additional analog inputs for complete DAW recording and mixing/interface system. My first test was to reassign the outputs of an “in the box” Pro Tools mix I had already done. I reassigned it into four stereo stems. I wanted to keep my mix the same and compare my stereo mix with the Egret’s analog sum of the stems. I configured Pro Tools’ I/O to send ADAT Lightpipe digital audio out the 9 through 16 ADAT spigot of my Digidesign HD192 interface unit. I set up drums and bass to outputs 9-10, guitars to 11-12, keyboards to 13-14, and vocals plus all effect returns on 15-16. All four Pro Tools stereo master output faders were at 0dB positions (unity). I ran all eight Egret channel level controls at full CW, appropriately pan odd/even channels let and right, and the Master level at one LED dot below 10. Again like my Avocet volume control knob there are green LEDs ringing the stereo level control to show levels in 1dB steps. The stereo LED meter on the Egret shows peaks levels at about 2/3 of full scale–obviously Egret has tremendous dynamic range with substantial headroom to spare. I connected my Benchmark Media ADC-1 to convert the Egret mix to digital and sent an AES/EBU signal back to a new stereo mix track in Pro Tools via the AES Enclosure input. Also everything was clocked from the ADC-1. Since I wanted to check for any differences between my ITB mix summed inside of PT with the Egret’s analog summing, I had to place the same stereo plug-in processing chain on the Egret summed mix back in PT. The result was both mixes matched closer than I would ever imagine. So does this prove anything? Considering I’m doing two extra conversions: the D/A in the Egret and then the A/D in the Benchmark and applying the same stereo processing, I was surprise that the Egret was this transparent and that the eight channel inputs tracked each stem’s level so exactly. It is a testament to the quality and design of Egret, the quality of the converters used and lastly the accuracy of Pro Tools HD Accel. So why go through this setup if it ends up sounding about the same? The answer is that you gain more mix control valuable when mastering or supplying stemmed mixes in post-production jobs. Separate processing of mix stems goes back to George Martin and the Beatles when he would mix their mono singles to a ‘twin track’ (2-track) tape deck with vocals on one channel and the track on the other. In mastering he would compress and EQ the vocals and track differently and recombine them for maximum punch and loudness. So my next test was to apply the same stereo bus processing I put on the entire stereo mix separately to each of the four stems. For this song I had: WAVES’ SSL Stereo Bus compressor followed by the Sonnox Stereo Limiter and followed that with Sonalksis’ SV-517 Stereo EQ. Of course in a big and powerful Pro Tools rig (like mine) this is all easy to do–no need to buy three more hardware stereo EQs, limiters, and compressors you’d need if we were working in Abbey Road studios circa 1965! I put those plugs all set the same across each of the four stereo stem masters. Immediately the Egret’s stereo master had to come down 5dB with the increased average level jump of each of the stems. The mix was all wrong necessitating new vocal rides, drum sound changes and everything else. For this to work I would have to start a new mix using this stem configuration. After a little work starting a new mix, I could hear that the vocals took on more clarity especially after readjusting EQ and compression and doing new gain rides. I tried compressing the drums and bass more without affecting the rest of the song’s instruments and vocals. Since my stem masters in PT are automatable, there are loads of creative opportunities with regard to remixing tricks and general mayhem. I also had a chance to see what the Egret’s Color controls did. It is a very subtle effect most noticeable on electric guitars. It mellows out any abrasiveness in the sound without a big shift in loudness. Applied to all the stems, it is another sonic choice you cannot get in any other way I know of. Recording engineer/producer Barry Rudolph is a contributing editor for MIX Magazine, ‘New Toys’ columnist for L.A.’s Music Connection Magazine, writer for www.prosoundweb.com. He also is editor/writer of Gear Lust, his online special review section at www.barryrudolph.com. Barry has teamed up with For The Record to share his reviews with the latest in recording products. SPL aka Sound Performance Labs is an old hand at level-independent dynamic processing with the invention of the Transient Designer and the Transient Designer plug-in, two of their best products. But the new DrumXchanger drum replacement plug-in might eclipse that triumph. DrumXchanger will replace drum sounds in multi- track sessions no matter the level changes and track dynamics. All drum hits are tracked and replaced including ghost notes, fast fills and rolls. It will do this in real time and in sample phase-accuracy with the original signal. DrumXchanger comes with a collection of SPL’s high quality 24-bit/96 kHz multi-samples. The library was recorded using SPL preamps and processors and includes three drum kits with one snare, one bass drum and four toms each. Every multi-sample is made up of up to 80 sounds in sixteen dynamic levels and five variations. DrumXchanger will also use .wav sample files as well. DrumXchanger comes as Native only in RTAS, VST and AU versions for Macs and PCs and features two Transient Designers to process both the original sound as well as the replacement drum sample. I installed DrumXchanger in my Pro Tools HD 3 Accel rig and was presented with a large GUI that allows for the very precise programming, processing and detection of the original sound for the generation of a triggering signal. Besides the capability of tuning the sample file +/-1 octave in real-time, you can change the phase of the drum sample in relation to the original sound; and externally trigger the sample from an external source via the sidechain input. (DAW program permitting). Here Are Descriptions Of The Plug-In’s Five Sections As Controlled By Its Excellent GUI. There are four automatable and switchable plug-in setups: A, B, C, and D. These are convenient ways to store complete sets of plug-ins settings and switch between them on the fly. Great for tracking drum performances with very wide dynamics or changes in stick techniques, you can copy and paste your best working setup from one to another and tweak the copy for a special triggering or changing samples as required for certain song sections. This section has an Input Gain range of +/-15dB for the original drum sound that does not change the triggering level setting. You can tailor the original sound using the high (20Hz to 11kHz) and low pass (20Hz to 20kHz) 12dB/octave filters. The Solo button quickly checks the sound quality of the original. Next comes Transient Designer #1 (of 2) to modify the original drum sound. Just like SPL’s original TD hardware unit and their plug-in, you can alter the attack portion of a percussive sound by +/- 15dB and sustain or ring out portion by +/- 24dB. A Ducking feature with a range of 0db to -40dB is added here that adjusts the level drop of the original drum sound during the time the sample plays. Ducking sounds like a big compressor squashing down the original sound only momentarily. Pushing the Trigg button “copies” the TD processing to the trigger signal sidechain as well as the original. Reducing the sustain portion (that contains leakage etc.) of the original sound with TD will make for a better triggering action of the sample. The Trigger section uses a bandpass filter to precondition the trigger signal. This is a full-range filter starting at 20Hz and going to 20kHz. It has an extreme range of Q values– 0.05 to 50! A Solo button lets you hear the effect of the filter and tuned it to (typically) the basic center and predominate frequencies of most of the energy of the original drum’s sound. Adjusting the Q will refine immensely the trigger performance both in accuracy and speed! After filtering you may need to readjust the Trigger Gain from 0 to +48dB for proper detection. It is recommended to set the Trigger Gain high enough so the loudest drum hits make the Level meters hit the max peak LED (red light flashing). This guarantees that the loudest sample (of multi-samples) is being played. The Rim control red arrow ranges from 0-100% and adjusts the level for the individual rim sounds for the included SPL multi-samples of snare and tom sounds. This is to set the desired difference of the rim sounds in relation to the regular drum hits. There is also a Rim knob control to set the input level of all rim samples available in the SPL drum kits. There are two threshold adjustments in DrumXchanger with two LED peak reading meters. There are two green arrows to adjust triggering threshold–they slide up and down adjacent to these meters. In the default advanced triggering mode, both green arrows’ threshold settings have to be reached for DrumXchanger to play a sample. The green arrows (handles) should be set low enough to ensure triggering but not too low to produce false hits on leakage or crosstalk. The Ext. SC button activates the side-chain for external trigger such as a recorded drumhead trigger microphone track. The Sample Section has two parts: sample selection and sample processing. Living up to its name, DrumXchanger’s method of sample selection is one of its best features. The loading, auditioning and playing of any sample from any drive in your system is elegantly handled in this plug-in. Clicking the Load button allows navigation to the folder where your drum sample .wav files or the .splx files in the SPL Kit folder exists. You virtually load the entire contents of the folder once you navigate to it. For easiest access, I’ve gotten into the habit of copy all my possible drum replacement sample candidates into a “samples” folder and placing it inside each song session folder on my Pro Tools work drive. I say ‘virtually’ because you are able to step through the list of samples in your folder, using the Next and/or Prev(ious) buttons, and audition each sample using the Play button for when the song is stopped or hear them automatically triggered when the song is playing. This is an incredible feature! If you select a SPL Kit by clicking on the drumkit icon in the GUI, you get an entire kit of kicks, snares, and toms ready to go–just select the individual drum on the icon and get it now. At some point it would be good if SPL releases a software utility to build your own SPL kits using any samples you like. All the SPL drum kits offer individual rim sounds for snare drums and toms to be mixed with the sample sounds, and the SPL kit sounds offer 16 velocity levels recorded in 5 variations, summing up to 80 individual hits per drum sound! The Sample selection section also has a Phase reverse button for flipping the sample’s polarity 180 degrees if you hear cancellation problems. A Delay control adjusts the samples time up to +/- 3.5ms if you perceive double hits on fast rolls and fills. Lastly, the Dynamics control lets you determine whether DrumXchanger follows the original drum’s dynamics or not–or any amount between these two extremes. You can go from exactly following dynamically and triggering on every ghost note precisely or have the new sample fire the same loudness every time. The other half of the Sample section processes only the sample(s) you are firing. There are the same high and low pass filters and a Solo button to listen only to the sample. Transient Designer #2 processes the sample and there is +/- 1-octave sample pitch adjustment knob located here. For processing the finished sound–the mix of original drum sound and added sample is the job of the Output section. Again there are the high and low pass filters and the section finishes with a Dry/Wet knob, Output level control and Overload LED. When mixing Pop Rock and R&B songs here at my Tones 4 $ Studios, I’m often asked to replace or augment the recorded kick and snare sounds. I usually use Digidesign’s DrumReplacer or Drumagog. But not any more! Invariably when the producer and/or artist come in to take a listen to my mix, they like what I’ve done but want to explore and add some other kick and snare sounds to what I’ve done. I’ve had as many as six different snare samples mixed with the original live kit–don’t ask me why. With DrumReplacer or Drumagog, I would always record the sample and tweak individual hits here and there because they are late or flam or just be missing in action–not triggered at all. I still like to record my new samples with DrumXchanger but it is a luxury knowing I can recall it and fire a different or an additional sample. The producers I work with love the auditioning ability of DrumXchanger. Being able to hear any sample fire while the rest of the track plays is awesome. We also like having the Transient Designer and the tuner for exactly dialing in the sample–sometimes that is all that is needed to “marry” a new kick drum sample to the rest of the kit. On a Rock song with a very ambient drum kit sound–lots of leakage on all the close mics–I wanted to add another snare sample to the piccolo snare. The close snare mic track was full of hi-hat spill and kick drum leakage plus the drummer played a lot of ghost notes and a few fast rolls. First thing was to slightly filter the snare track using the high/low pass filter in the Input section and then adding a little more attack using the Transient Designer. Reducing the sustain with TD helps tremendously with the hi-hat spill and kick drum leakage but I wish there was a way to use the TD only for the trigger signal. I used the Trigger section’s bandpass filter to “tuned” to the snare drum’s “box” sound at 874Hz with a Q of 7.74. This killed most of the high and low frequencies so now the kick and hi-hat leakage was nearly gone from the trigger signal. I chose a Ludwig Black Beauty sample from a folder of snare samples and getting DrumXchanger to follow the original snare drum track on two and four was no problem. By looping song sections, where the drummer played a couple of fills and ghosts, I adjusted the green arrow threshold handles and the threshold controls themselves until DrumXchanger followed all hits perfectly. Since I was going to mix the original with the new sample, if the very first attack of a fast roll doesn’t trigger, it was not the end of the world. I did manage to tweak until even the quieter first strikes fired the sample. Once I was satisfied with the general operation of the triggering, I copied this setup from A over to B and readjusted B for the touchy areas where I needed more trigger sensitive and/or a lower threshold. These lower settings wouldn’t fly for most of the song without occasional false triggering. Since you can automate changing from Setup A to B, I went down the song and changed to Setup B for those touchy moments. I was now finished. When the producer arrived, he didn’t like the sample I used but, since I had already done the work of programming the triggering etc., I just stepped through my snare drum collection until he heard one that worked for him. I adjusted the mix with the Wet/Dry control and moved on with the rest of the mix. DrumXchanger is now a mainstay in all my mixes! For the first time I am satisfied with the whole drum replacement process! Something I’ve always thought to be extra-tweaky work for usually dubious results and sometimes, uncertain worth. I big, big thumbs up for DrumXchanger! It sells for $449 USD (299 EUR) and for more information visit www.spl.info. This week, For The Record features producer/engineer/writer, Tony Rockliff sharing some insight on the common mistakes that musicians make with their online content. Check out indietrak.com/blog for more helpful articles for recording artists. Here’s the bottom line on this – and I can’t stress this enough – your email list is your *most* valuable asset. It’s long been observed that the size of your mailing list and the number of mailings to it majorly determines your income. What too many don’t know is that in the current marketplace the *nurturing* of the list is now the key factor that realizes that income. And that doing 1) above badly misuses and dramatically weakens the potential value of that list. Nurturing the list means using the list to continue to freely give valuable and useful information to build trust, respect and affinity. People on a list that is well-cared for and backed by an honest intention to help the survival of those on it will be much more responsive to what you have to offer, when you do on occasion also offer something for sale. A list that is misused and the trust violated by only asking people to buy something or go to an event will dry up and eventually your emails won’t even be opened. There is also precise technology on how to offer products or services for sale in an email that will be welcomed by your list which I’ll go into in a future post. One of the most important things that your web site should do is get more people to opt-in to your emailing list – but you have to give them a truly compelling reason to do so! This could be a free MP3 or video of an unreleased track, an eBook of extremely useful information or anything that you feel would be considered really valuable by your public. I you don’t know what that would be – ask them. Give them a really good reason to give you their email address and they will gladly do so. And you’ll grow your future potential income. When a new person comes to a musician’s web site, do they want to read all the bio info or news or gig info for this band that they’ve never heard? No! They actually – and those with egos will need to forgive me – don’t give a darn about *any* of that. What they’re looking for is that desirable emotional reaction that they get when they listen to music that they like. But what do most bands do? They have a vanity home page saying, “Look at us, we’re (fill in the blank)”. And where do they have their music? Buried on the 4th or 5th tab over almost as an afterthought – exactly where the bios should be! If you can win them over with your music, then they may begin to develop an interest in you personally, but until that moment, you need to focus on providing them with the emotional experience that they’re looking for. A good musician’s or band’s site should have a strong compelling headline and a short, also compelling, introduction designed to get them to listen immediately to your music which should be available right there at the top of the home page – ideally in “sampler” format (30 seconds each of your best 6 songs one blending into the next). Right next to your music player should be your opt-in email box with your irresistible reward for them giving you their email address. There are more mistakes that people make online, but those above are some of the major ones. In the next article I will cover insider ways to use Twitter and Facebook successfully. Back in the good ol’ days, discovering new music took more than a click to myspace. Fans actually had to browse the local music zine, find a show that sounding promising, head out to the venue, and hope for the best. If an artist had any hope of commercial exposure, the radio was their only mass outlet. Then myspace came along. Suddenly, there was a worldwide medium that provided fans with instant access to the music they wanted to hear. The way that music is marketed was forever changed. Soon, there were unknown bands that were able to build a massive fan base through the web, and label reps were checking out the top rated profiles to find their next big act. Myspace is still an essential aspect of online marketing, but a few things have changed. Friend adders and song-play increasers have comprimised the legitimacy of profile stats. Aside from a few exceptions, this has made it far more difficult for unknown bands to “get discovered” from their page. The ability for anyone with an audio recording to have a music site for their band, resulted in an over-saturation of content. Overtime, the massive number of “myspace bands” (and sneaky hackers) began to give the site a bad rep for spam. This, along with other safety concerns, led many users who were once “potential fans,” to switch over to other networks. Labels and artists continue to utilize social network marketing as an effective method of promotion, but these days it takes more than a myspace page to get the attention of fans on the web. It is common knowledge that the internet has revolutionized the way that music is marketed. There are countless websites that allow musicians to upload their music and share their content with the world. This is really an amazing achievement when you consider the music industry before the internet. However, it leaves artists with a very difficult task. How can we utilize this medium to stand out amongst the crowd and reach our potential audience? A professional website is an essential aspect of an effective marketing strategy. Not only does a website show that you are more than just another band with a myspace profile, but it provides a canvas for you to create an array of innovative methods of promotion. Developing an effective site can seem a bit overwhelming initially. You want to ensure that you accuratley represent the personlity of your brand. So it is easy to quickly become bogged down in minor details. While you could spend weeks picking out the perfect shade of red, it is important to reminder yourself that the content is what people are there to see and hear. To start, jot down your ideas for the basic visual concept of the site. This will save you plenty of time and money once you begin to consult with a web designer. Next, outline the pages that you want to include on the site. It is good to start with the basics: home page, music, pictures, videos, tour dates, and a blog. Once you have outlined the content for the basic elements, it is time to work on incorporating an interactive concept. Creating an interactive community through your site, will give your viewers an intimate experience and a reason to check back often. Some effective concepts include contests, viewer submitted material, or a free download for newsletter subscribers. Try browsing the sites of similar artists to give you some ideas to work from. Take your time in developing a fun and original concept, as this aspect of your site can drastically help to jump start its popularity. Once you have developed your concept, it is time to choose a designer. If you are on a tight budget, there are many free sites that are worth checking out. webs.com and wix.com are two popular sites. There are a few downsides to a free site. You are limited by their templates, the content you can upload, and your web address will include their name (i.e. mymusic.webs.com). Another low budget option is leasing a template. There are a number of sites that offer non-exclusive use to professional templates, such as templatemonster.com. These sites allow you to purchase the right to use the template for your site. The downside here is that anyone can buy the template. Also, if you don’t have web design software, you will still have to hire a web designer to customize the site. In choosing a site, it is important to note that most mobile devices do not support flash websites. If you want viewers to be able to access your site on their mobile device, you will want to go with a html or wordpress format. You can also try a hybrid design, where only a few elements are flash. If you have a budget for design, there are many great web designers that offer professional sites for a wide range of budgets. Take the time to shop around to find the best fit for your situation. It is always a good idea to ask for references, guarenteed turn around time, and a portfolio of past work. For our sites, we use steadysystems.com Steady Systems is a design company that offers a range of affordable options for websites. They are very reliable and do excellent work. One of the things that led us to choose Steady Systems is their Content Management System (CMS). Their CMS tool allows you to modify your site on your own. You can log into the system and update text, music, videos, photos, and all other aspects of the sites content. By utilizing their system, you don’t have to pay your designer to update your page every time you want to add something to the site. The changes take place instantly, so you can effecientely maintain your constant stream of content. Once you have launched your site, be sure to outline a plan to keep the site up to date and frequently add new content. This is a vital aspect of building your online fan base. Make sure that you give your viewers a reason to come back by creating an interactive experience. You can also help drive new traffic to your site by various methods of Search Engine Optimization (SEO). There are many great resources on the web that will help you get started. Websitegrader.com is an excellent source to track your progress. Optimizing your online presence can be a daughting task. If you put in the work, the reward is well worth it! I hope this article provided you with the information you need to take the next step in developing your online marketing strategy . We would love to hear your questions, comments, and feedback! If we can be of any assistance, feel free to drop us a line! 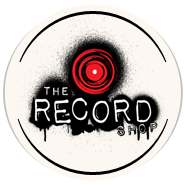 http://therecordshopnashville.com/wp-content/uploads/2018/10/nashville-recording-studio.png 0 0 The Record Shop http://therecordshopnashville.com/wp-content/uploads/2018/10/nashville-recording-studio.png The Record Shop2010-05-10 08:38:192010-05-10 08:38:19Why do I need a professional website? I got a myspace!